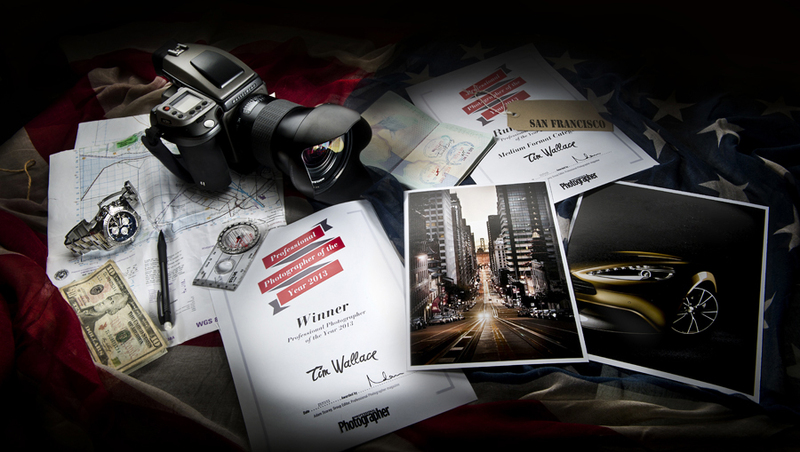 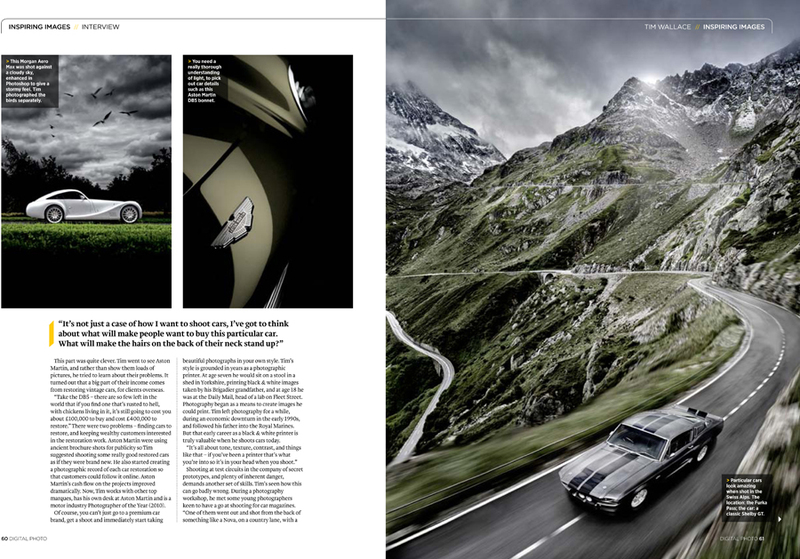 Today saw the the publication of a Pro feature interview with commercial automotive car photographer Tim Wallace in 'Digital Photo' magazine. 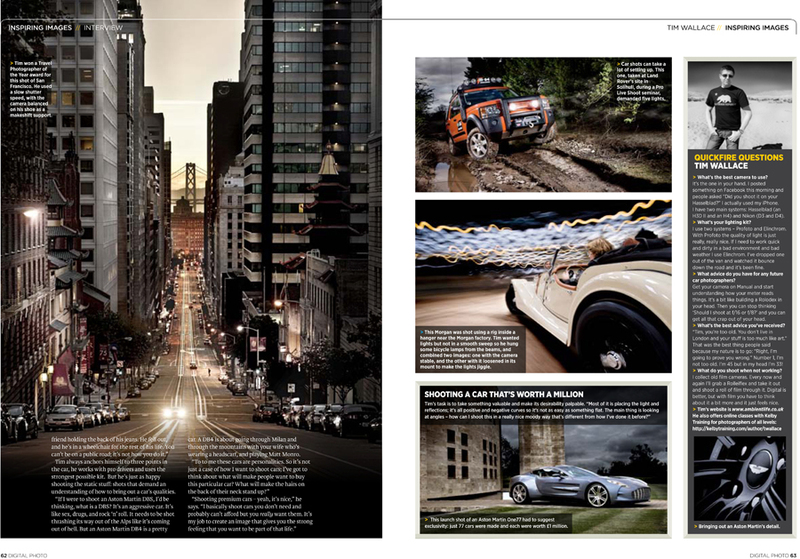 The magazine is published globally but centres mainly in the European region. 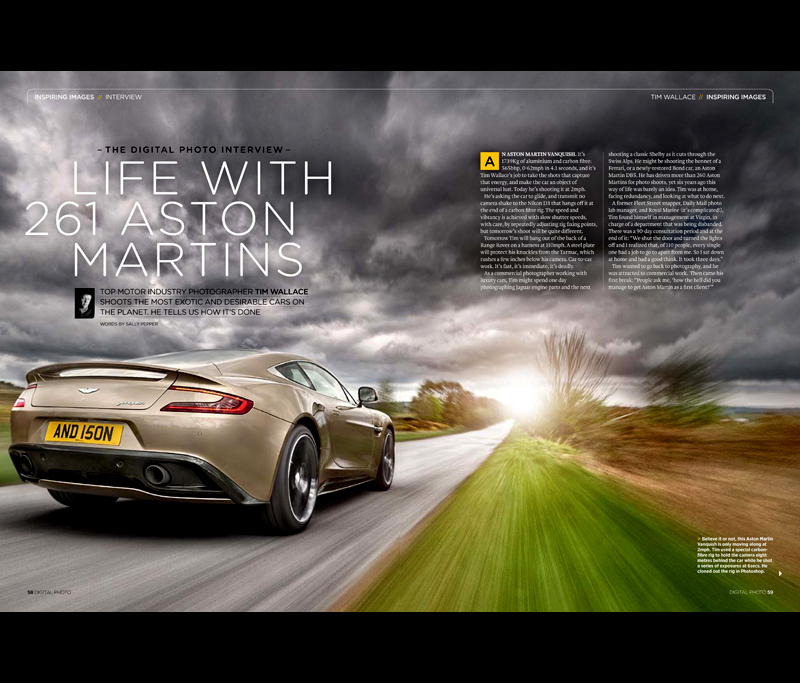 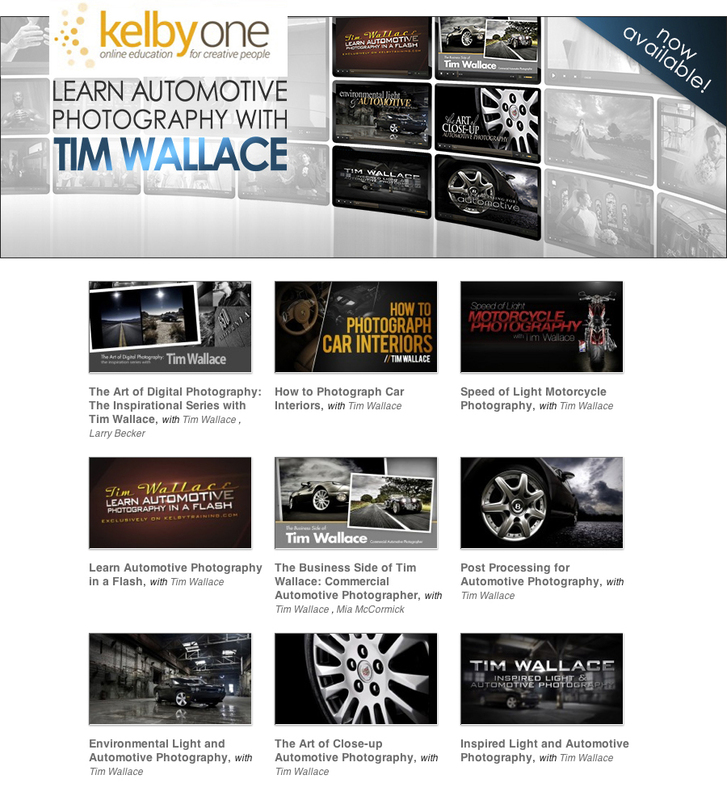 The 6 page interview and feature was entitled 'Life with 261 Aston Martins' and looks at some of Tim's work over the last year, talks about his approach and mind set towards shooting as well as a little about how Tim approaches his clients and how he views his own presence within the market place and automotive industry today.